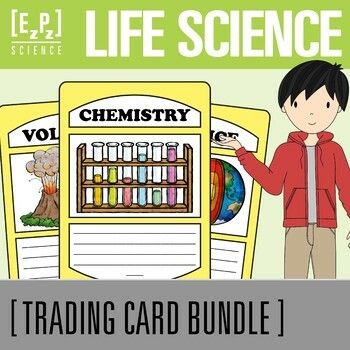 Students will have a blast creating life science trading cards with this Life Science Trading Cards Bundle. It is a perfect way for students to creatively show what they know about life science, share their work with others and interact with their classmates come trading time! 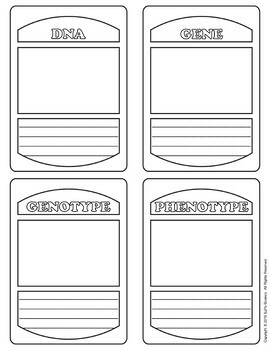 Each life science trading card set comes with 8 life science trading cards (4 cards per page), blank trading card backs, and a trading card pocket to store the cards. 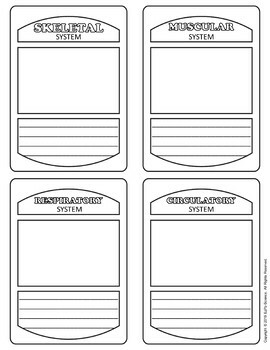 Each card contains a life science key term, a blank spot for a picture and a lined space for writing facts about the life science key term. You can use the pages as an assignment or for a project, or you can cut them up and use the cards individually for warm-ups or exit tickets. After your students have completed the life science trading cards, let the games begin! 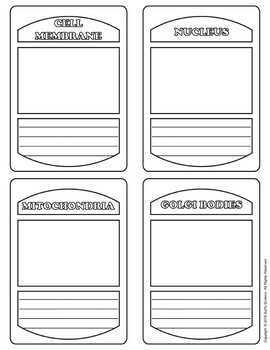 Randomly pass out the trading cards to your students as rewards or hide them in your classroom. Tell them if they collect 5 or all 8 cards, they win a prize. This will allow students to see other students’ work and encourage your students to trade for the cards that will enable them to get a collection of all 5 or 8 key words. Your students will be completely engaged with this hands-on activity!